The image that is conjured up by the Meiji Japanese slogan to ‘build a rich country ...,’ and its post-World War II version with or without a strong army, raises some obvious questions: How does such a building process begin and how is the maintenance or adaptation of the structure to the changing needs of the inhabitants performed? Who does the architectural design, who carries it out, and who maintains or adapts the building in response to changing internal demands and external challenges? 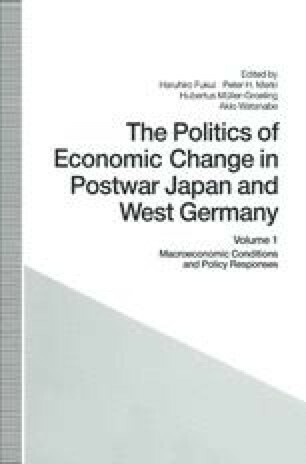 The house-building and house-adapting analogy clearly raises the questions of the political management of economic change that have been raised in this volume and its sequel with regard to postwar Japan and the Federal Republic of Germany.